PROBLEM: Old style crank plates bend in the middle and pull the stud loose from the welds. REMEDY: Our replacement crank plate is made to not bend. It has a coupling nut welded to the plate. This increases the strength of the plate. 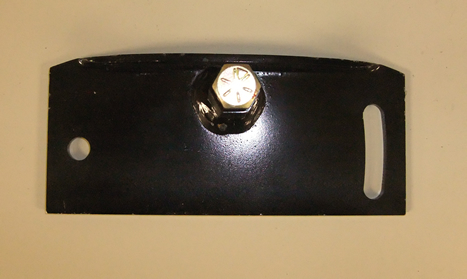 The bolt to attach it to the rudder drive shock rod end is included. Copyright © Stahl's Seventy's, Inc.| Phone: 651-322-2141 | Fax: 651-322-2142 | Site designed by: Stahl's Seventy's, Inc.